I'd guess everything from mining down to support for mining got a boost from WW II research and development. 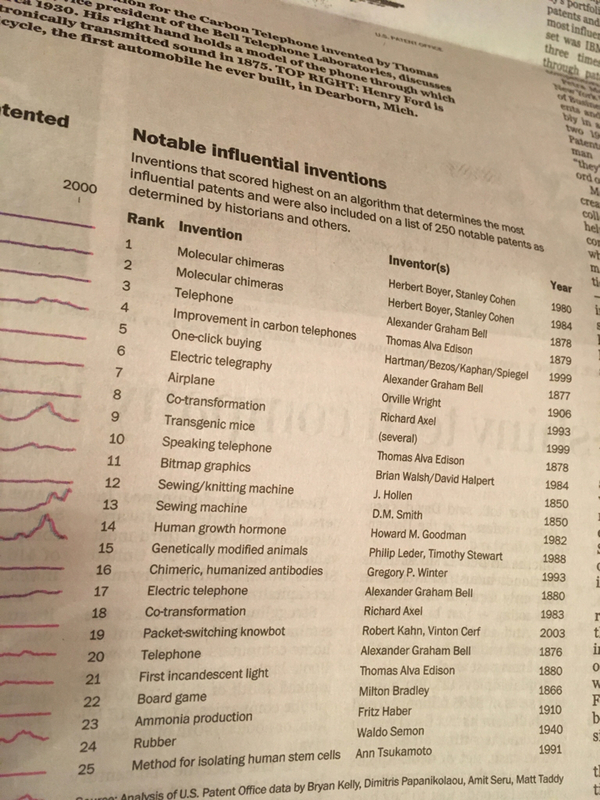 I can't find a handy link to the article but it talks about how these graphs don't show the total number of patents in each area, they only show the significant groundbreaking ones. So if somebody invents a refinement to an existing invention it isn't counted for the graph. Yeas, only "Breathrough" patents per million population. Rather strangely structured.